An online game that allows players to stage fights involving Jesus, Muhammad and other religious figures was withdrawn after Muslim protests. But the creators have now posted a cheeky sequel, in which players must love all the figures equally in order to survive. The first Faith Fighter game is "incendiary in its content and offensive to Muslims and Christians," a spokesman for the Jeddah-based Islamophobia Observatory of the Organisation of the Islamic Conference (OIC) said. 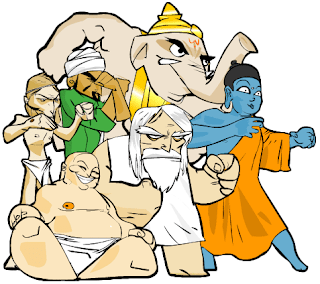 Faith Fighter allows players to choose between Jesus, Muhammad, Buddha, God, Ganesha and then fight each other in an old-style cartoon fashion with kicks and thunder bolts. The game's publishers, Molleindustria of Italy, which specialises in making games with a serious message, intended it as an ironic commentary on religious intolerance. 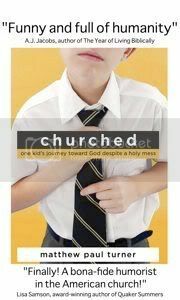 The accompanying guide reads: "Choose your belief and kick the s*** out of your enemies. Give vent to your intolerance!" Molleindustria said on its website: "After an official statement from the Organisation of Islamic Conference we decided to remove the gameFaith Fighter from our site." Molleindustria said Faith Fighter was meant to be a game against intolerance that used over-the-top irony and a cartoonish style. "If an established organisation didn't understand the irony and the message of the game and is claiming it is inciting intolerance, we simply failed." The game was released more than a year ago and has been played by millions of people on the internet. I haven't seen this game. I was raised as Christian, I don't think its appropriate to put such entity on Download Games. Whatever religious beliefs that is, we should always give respect. Its not I am trying to make a point but, that's what I believe in.